Former British Foreign Secretary, Boris Johnson, has been heavily criticised after he said British Parachute Regiment soldiers responsible for the deaths of 14 unarmed civilians on the streets of Derry on January 30, 1972 should not face criminal prosecution. Mr. Johnson made the comments in an opinion piece for the Daily Telegraph after it emerged over the weekend that British soldiers involved in the massacre could face criminal prosecutions. "We mustn't let politics trump justice in this travesty of a Bloody Sunday trial," Tweeted Johnson on Sunday evening. "What signal does it send to our brave armed forces?," he added. SDLP leader, Colum Eastwood replied to Mr. Johnson's Tweet telling him what the "signal says". "It says, 'if you murder 14 unarmed civil rights marchers you should expect to be prosecuted'," exclaimed Mr. Eastwood. The first ever Bloody Sunday commemorative march which took place on January 30, 1973. Thirteen people were shot dead by the British army in Derry on January 30, 1972; a fourteenth person died several months later as a result of injuries sustained on Bloody Sunday. 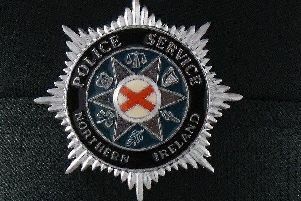 The Saville investigation into what happened on Bloody Sunday was established in 1998 and delivered its verdict in 2010. Then British prime minister, David Cameron, apologised on behalf of the British government on the day the Saville report was published on June 15, 2010. The P.S.N.I. then started their investigation into the shootings. John Kelly, whose brother Michael Kelly, was one of the 13 shot dead in Derry on January 30, 1972. This picture, which includes others who lost loved ones on Bloody Sunday was taken outside the Guildhall on the day the Saville Report was published in 2010. The Daily Telegraph published a story over the weekend claiming four soldiers involved in the shootings, all of whom are in their sixties and seventies, could be prosecuted.